Starring: Leonardo DiCaprio, Armie Hammer, Naomi Watt, Judi Dench. Ah, the biopic. Each autumn brings a handful of them, most of which feature top stars wearing gobs of make-up and sporting nifty accents (re: Nicole Kidman in The Hours). These films also try to find the person behind the myth, personalizing the story under a marquee bearing the subject’s name (re: Ray). 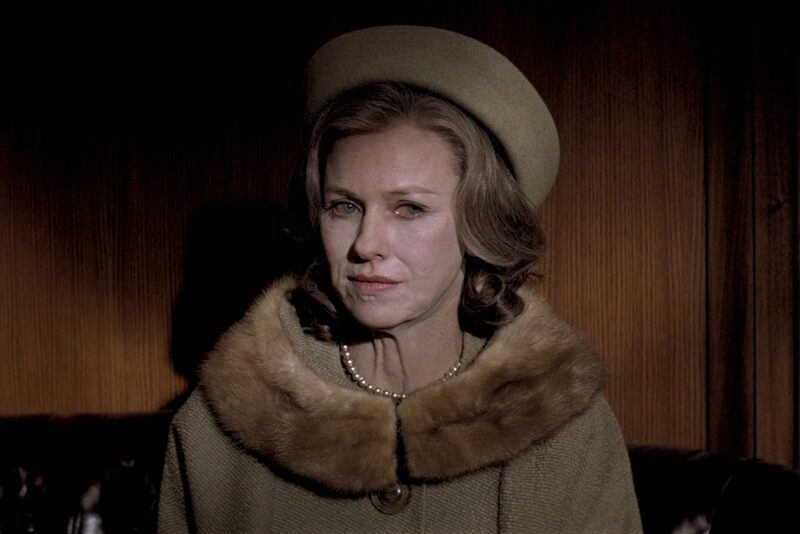 Finally, these prestige pics don’t shy away from their subjects, showing the dark side of the story in addition to the fame and glamour (re: Capote). This year’s film that fits the bill – before My Week with Marilyn and The Iron Lady open – is Clint Eastwood’s well-mounted pic that chronicles the life of J. Edgar Hoover from his foundation of the Federal Bureau of Investigation until his death. And wouldn’t you know, the film stars Leonardo DiCaprio hidden beneath layers of latex and a mannered dialect. 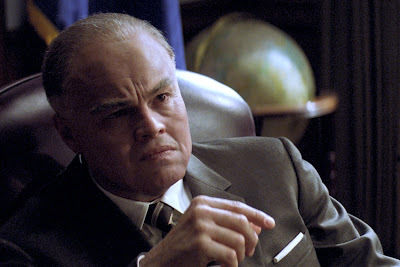 The film shows Hoover’s successes, but it shows his warts, too, and under the title J. Edgar, so that we can get to know the man behind the legend. The above cataloguing shouldn’t read as cynicism, but more as a mere list of which conventions of the genre J. Edgar checks off. Truth be told, J. Edgar is a wholly conservative biopic, but not in a bad way. 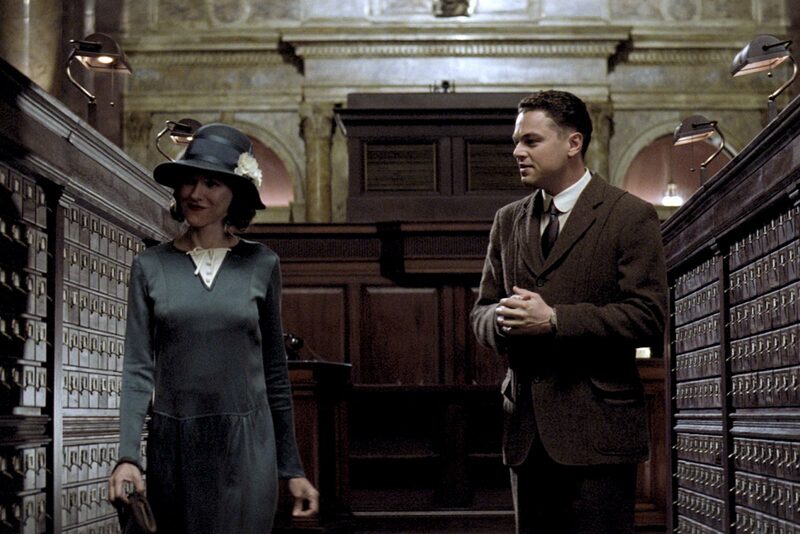 Rather, J. Edgar is simply a well-done old-school profile about the complicated life of a complicated man. The screenplay by Dustin Lance Black (Milk) follows the tried and tested formula of having the aged Hoover recount his biography to an eager typist. The film cuts back and forth between the end of Hoover’s career and his early days at the Department of Justice. It seems that Edgar has as much zeal for the job as he did during his youth, but Hoover’s static nature makes him more intriguing as a character, for one can’t help but look on with wonder at how one man stayed so powerful for three decades in spite of his resistance to change. As a young man, John – or “Mr. Hoover,” as he prefers – is an up and coming keener in the Department of Justice. He is also a surprisingly forward-thinking member of the department, arguing that investigations should be built upon scientific evidence, rather than human intuition. “Just imagine if every person on earth were identifiable by the prints on their fingers,” he muses to the department’s new secretary, Helen Gandy (Naomi Watts), during a weird date in which John shows her the filing system he invented in the national library. With Helen, Mr. Hoover finds a kindred spirit. Helen rebuffs John’s advances, saying that she has no intention to marry and that her work will always come first. John then proposes that she become his personal secretary, and Helen accepts the offer, working by his side until the day he dies. (How romantic.) While Helen might be the film’s most underdeveloped character (it would have been nice to have more insight into the woman who worked so closely with Hoover), Watts’ fun performance as the secretary conveys the respect and devotion Hoover commanded. Helen also brings out much of the idiosyncrasies of Hoover’s department, especially in one well blocked scene in which Hoover hollers for her through one door and she slides out and joins him through the next. While Helen’s loyalty expresses the eccentricities of Mr. Hoover, the film explores the man’s psyche via a series of creepy scenes with his mother (Judi Dench). Even during the formative years of his work at the Bureau, Hoover still lives with his mommy, who clear keeps him on a tight leash (or choke chain). 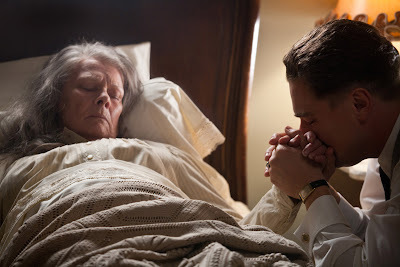 Although Mama Hoover expresses the greatest admiration for her son’s achievements, she smothers Edgar in a veneration she denies him from achieving his full potential. As played by Dame Judi Dench, Mrs. Hoover is like a living, breathing Mrs. Bates with a string of pearls. As does Helen, Clyde remains by Hoover throughout the years. Their relationship is a fraught one, though. Black’s script begins by exploring Hoover’s alleged homosexuality through inference and innuendo. The causal interactions between Edgar and Clyde hint at something more, but their onscreen affection reaches its climax when Mama Hoover becomes most suspicious of Edgar’s character. 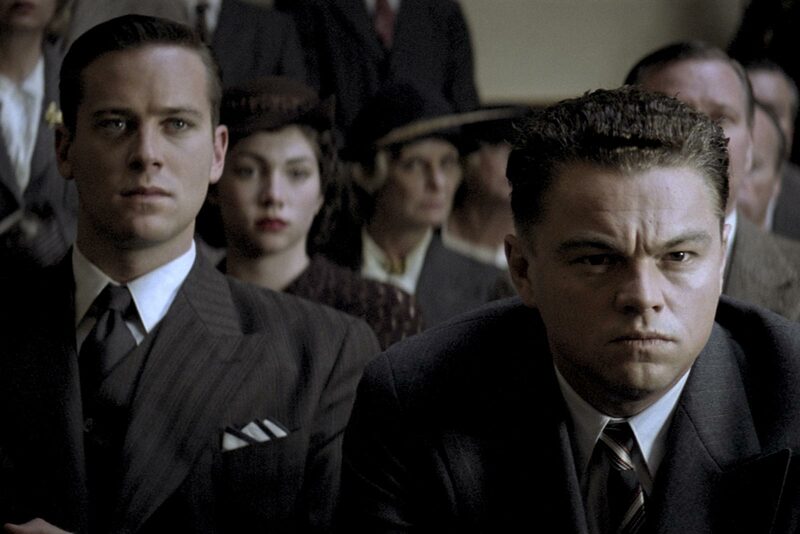 J. Edgar therefore uses the relationship between the two men to reveal how Hoover was a man who cowered at the prospect of liberal change, choosing to uphold the status quo even if it meant denying his own happiness. J. Edgar, however, doesn’t shy away from speculating on Hoover’s lifestyle. Instead, the love story between Hoover and Tolson remains the underlying heart of the film. As it grows alongside Hoover’s explanation of the investigation of the Lindbergh kidnapping, the case that Hoover claims defined the Bureau, the film juxtaposes the success of Hoover’s career with the disappointments of his personal life to show that regardless of what one thinks of the man, his work forever changed American history. Whether his legacy served the nation for better or for worse, Eastwood leaves that to the viewer to decide, but the enigmas of Hoover’s biography resonate strongly at a time when questions of due process and tensions of personal/national security are highly pertinent. Additionally, if J. Edgar plays like a “greatest hits” compilation of Hoover’s biography, Black’s screenplay carefully challenges Hoover’s account of what surmises onscreen and asserts that there are always competing narratives for every story. The film’s main failing, though, is that it exhausts Hoover’s biography in a runtime that is so sprawling and untidy that the fastidious man would not have approved. (The overlength of the film will surely urge some critics to retitle the film J. Edgar Snoozer.) Despite the excessive length, which seems to be a recurrent flaw in Eastwood’s films, the strengths of this biopic far outweigh its shortcomings. Central to the film is DiCaprio’s powerhouse performance as the subject, playing a meticulously nuanced Hoover from youth to death. Watts, Hammer, and Dench are also good, as is the detailed period work by the production designers and costumer Deborah Hopper. Most impressive, however, is the effort by the film’s make-up department. The scrupulous work they provide in aging the characters is truly remarkable – it’s as good as Adrien Morot’s Oscar nominated work in last year’s Barney’s Version. Their transformation of Naomi Watts is particularly remarkable. So, while Eastwood might not reinvent the genre with his biopic, he nevertheless delivers a worthy story. In this sense, J. Edgar provides a good companion piece to George Clooney’s The Ides of March: Neither film does anything particularly new, but they both do the old thing very well. Both films are well-crafted tales by strong storytellers, featuring great actors at the top of their game. I think J. Edgar Hoover would have appreciated such smart play with convention. 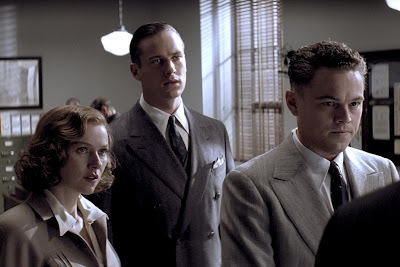 J. Edgar is currently playing in wide release.